The Birmingham singer – songwriter wrote, sang and played guitar and bass on all the songs on her forthcoming debut album. Keeping with her independent and DIY ethos, Pryti’s has set up her own label ‘Welcome To Pariahville’, which is home to all of Pryti’s releases. Pryti’s last EP ‘Welcome To Pariahville’ picked up widespread acclaim from the Rock/Metal community. Sam Carter (Architects) reviewed her EP in Kerrang! Magazine to high praise, while Rocksound Magazine covered Pryti with an online feature, and tracks from the EP also racked up radio airplay on Kerrang Radio's Fresh Blood show and Total Rock Radio extensively played ‘Abyss’. For Pryti’s debut album ‘Tales Of A Melancholic’ she got in Justin Hill from Sikth (Yashin, Heart of a Coward, Bury Tomorrow) to handle production, mixing and mastering duties, and his expertise has really allowed the album to rise to a new level. 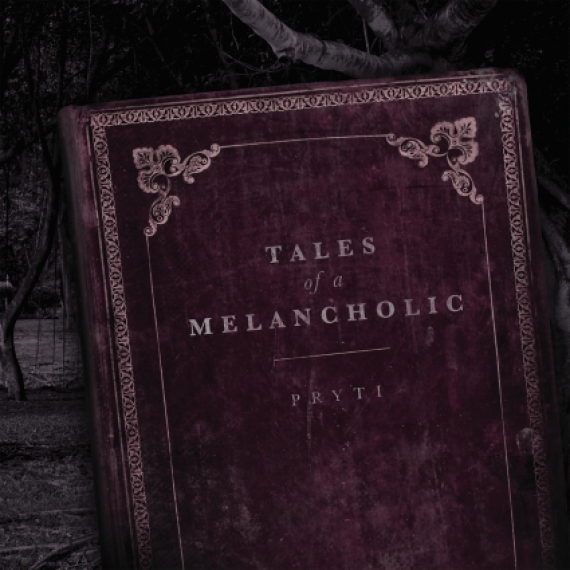 ‘Tales Of A Melancholic’ is a ten-track album with just one excellent track after another. This is a release that continues to build with every listen and it takes no time for it to be one of your favourites and it’s filled to the brim with well written songs that blend so well with the lyrics, giving this record at times a big sound and at others a very haunting sound. Another stand out feature of ‘Tales Of A Melancholic’ is Pryti’s vocals that have such a way of evoking the emotions within the lyrics. This really is an outstanding debut album! Keep up with Pryti via her Facebook and Twitter .